Visual Exposure to U.S. Highway 17 ByPass with extensive road frontage on Old Kings Highway extension. Located a few parcels down from The Home Depot. 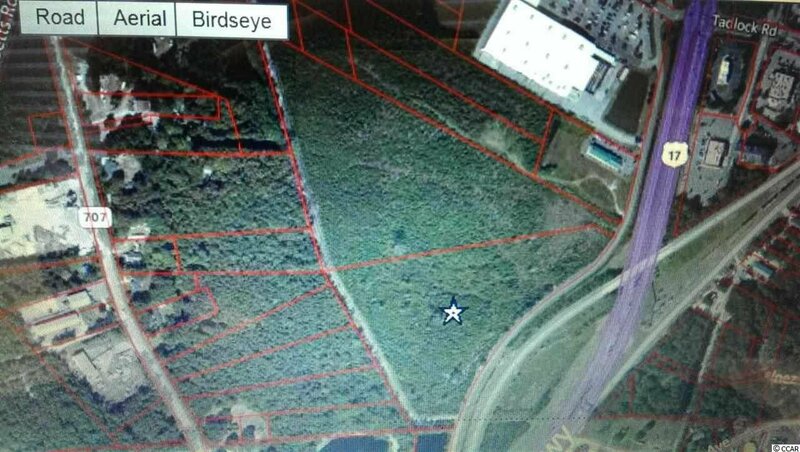 15.17 acres total consists of 10.6 acres of highland and 4.54 acres of wetlands. 1.26 acres of this property (included in the total) is under Right-of-Way easement by SC Public Service Authority for the existing power line on the north and southeast boundary line. Of this is approximately .63 acres high and .63 acres low. This area will be purchased by the Buyer and it does have limited use by the owner. The Right-of-Way remains a part of the property. Present zoning is Agriculture and Forestry/Farm vacant but has been previously approved for rezoning for Commercial use. Any subsequent zoning changes will be the responsibility of the Buyer.